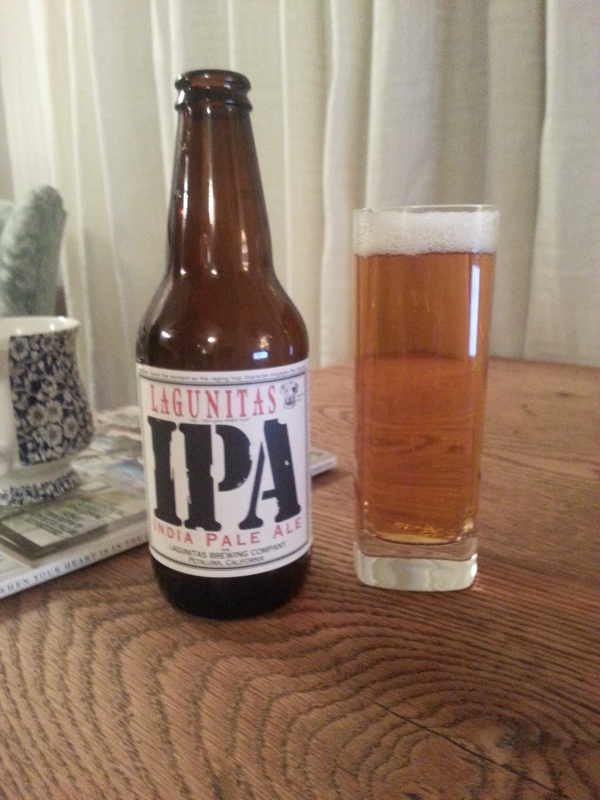 Lagunitas is one of those brewery names that I see and hear a lot in the home-brew and tasting forums, but didn’t think I’d ever get to try until I was back in the US of A – and yet here it is, by the pallet-load in Southwold. Happy Days. On the nose, a glorious melange of bright, lively, hops – with a faint chromey edge and floral notes that flowed throughout. Big mouth-filling hoppiness in the taste: prickly and resinous: joyous, nimble and uplifting; and not at all cloying or heavy. Cutting through all of that like a knife is an excellent bitterness, which makes for a very “can’t leave this alone” sort of beer. This is an excellent IPA, make no mistake. It isn’t a total bruiser, it’s a delicate yet forceful example of the classic US IPA style. It would be so easy for Lagunitas to really load up on the hop resins and turn it into a lumbering hop juggernaut, but I’m glad that they’ve exercised a deft hopping regime and teased out all of that lovely aroma and punchy taste. 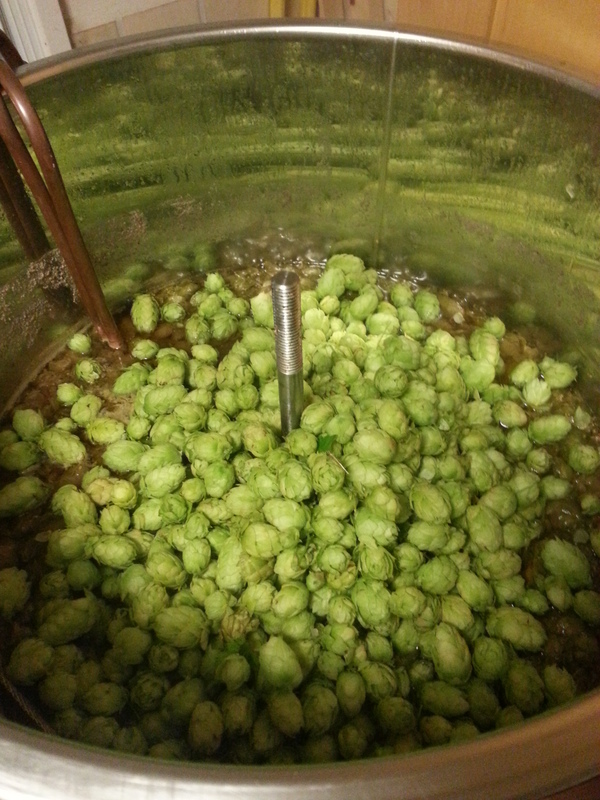 I’ve had the very good fortune to watch the development of the Wild Hop from it’s embryonic idea: http://adnams.co.uk/about/news/beer-news/hop-to-it-adnams-needs-you/ through to the finished article out of the cask. If I was Fergus and the crew, I’d declare this one a winner and put it on my schedule of seasonal beers every year! 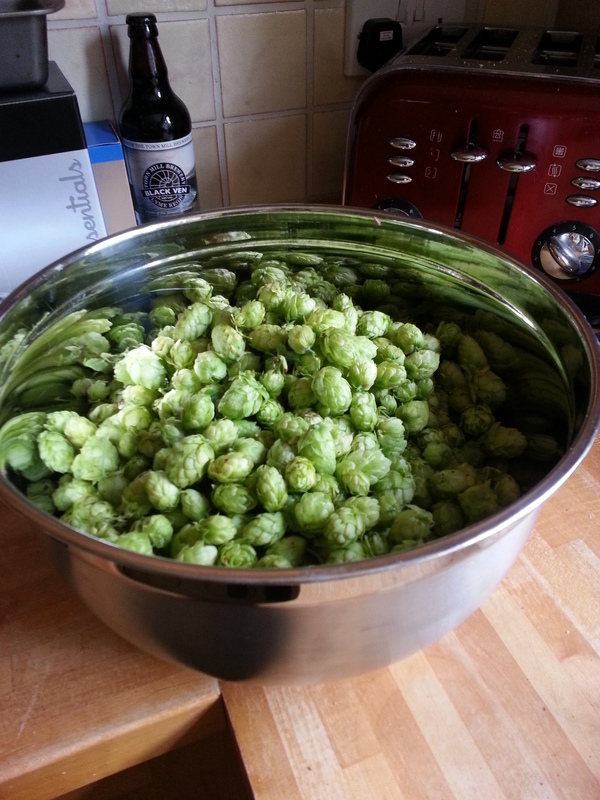 Rather selfishly (and also because I live a good 150-odd miles away) I kept all of my cascade hop harvest to myself and put the lot in my Fresh Hop Cascade Pale Ale – which I’ll review soon. 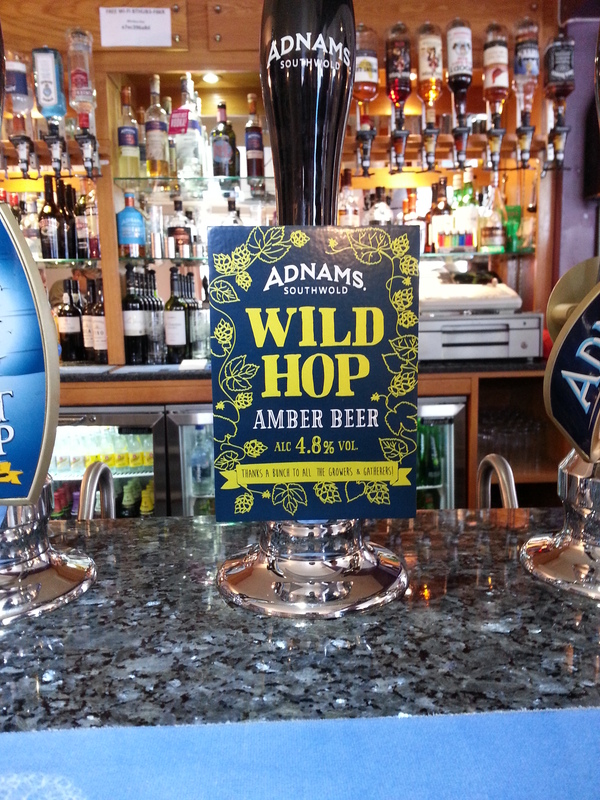 Wild Hop arrived in a nice hoppily-hazy style, with a good lasting head and an orangey-copper sort of colour about it. 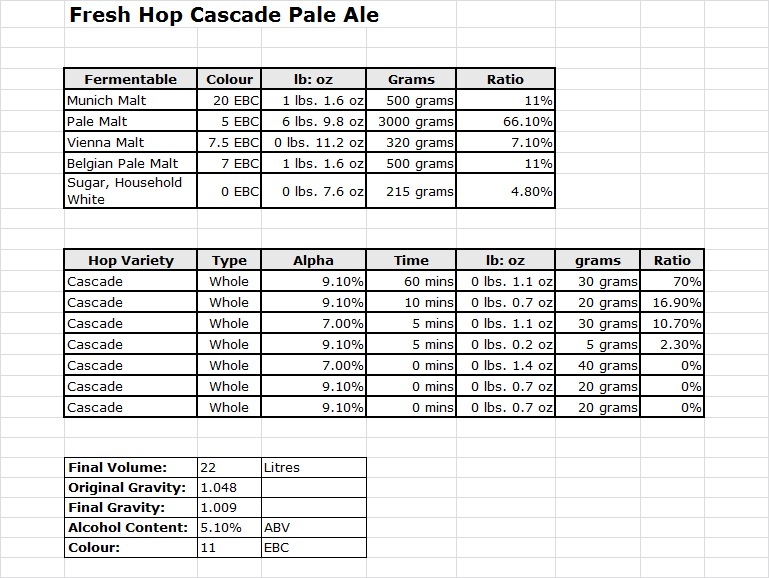 The nose wasn’t wildly hoppy (if you’ll excuse the pun) but I wouldn’t have expected anything else…god knows it’s difficult enough to get a reliable hefty hop aroma into a cask beer when using named “C” varieties. 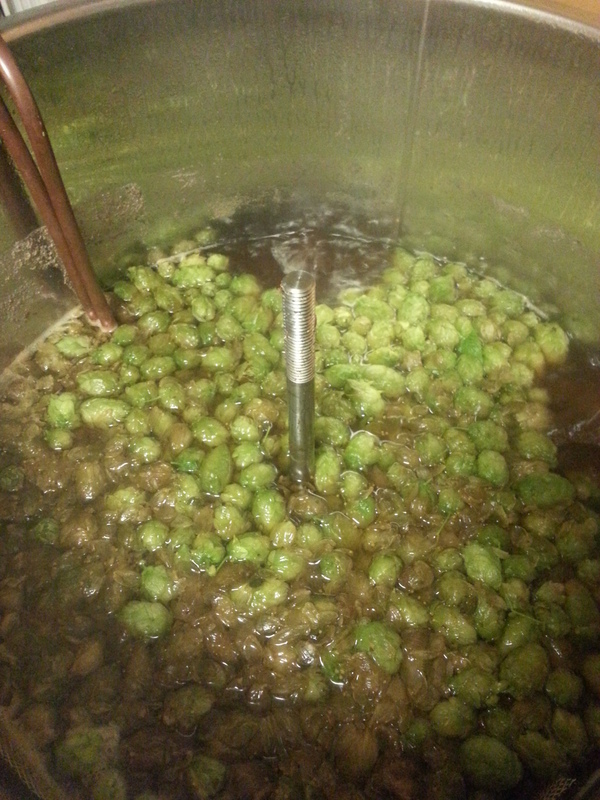 But the aroma was hoppily enticing enough to get me all excited, stop taking notes and just drink the pint. Wow. What a whirl of hops – multiple different hop notes vying for attention and each delivering on their own level…this is what a really good multi-hop brew tastes like. The bitterness was just about bang-on for my taste and was satisfying and refreshing. I would (and have) drunk Wild Hop again since and it’s always been marvellous…and now I see that it was available in bottles! Blast. I think I’ve missed the boat there a bit. I have hopes of securing a bottle for comparison somehow, but fear that I might be out of luck. Blue Moon. I keep seeing it in supermarket. I’ve looked at it, it’s looked at me – and I’ve never actually got around to trying it. I spotted it on draught in The Woodin’s Shades in Bishopsgate – just across the road from the cloud do, so I thought I’d give it a whirl. 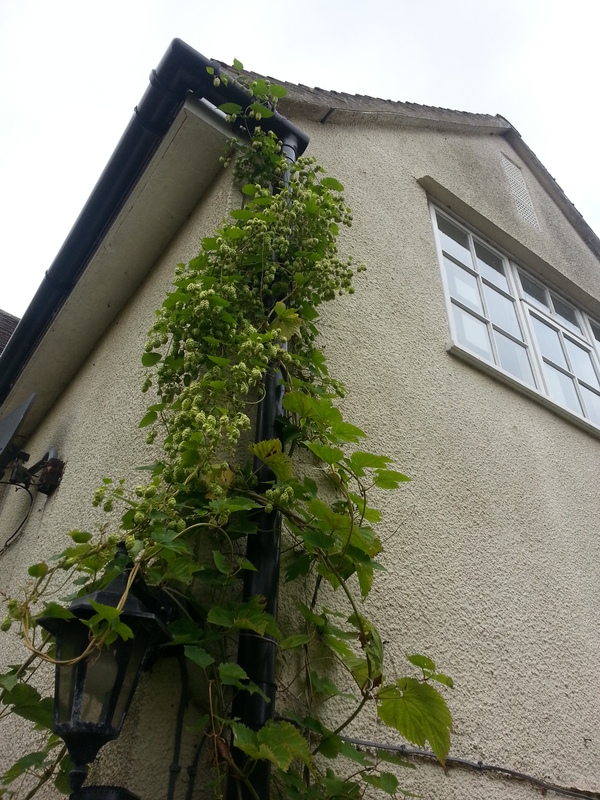 Arriving a very hazy light-orangey sort of colour – think Robinson’s Orange Barley Water if you will. A very fizzly sort of head hung about around the edges of the glass. 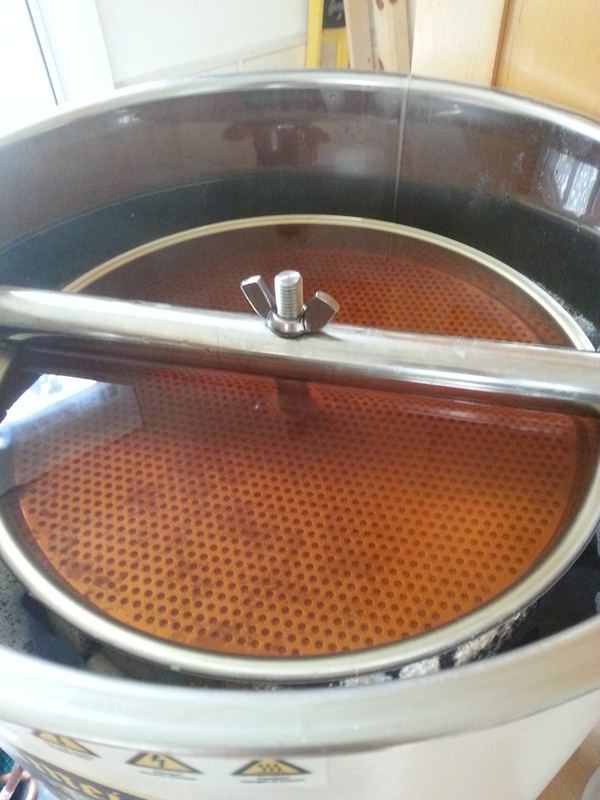 The aroma was interesting and yeastily-fruity with -surprisingly enough- notes of toffee and caramel. Very unexpected, but nice all the same. 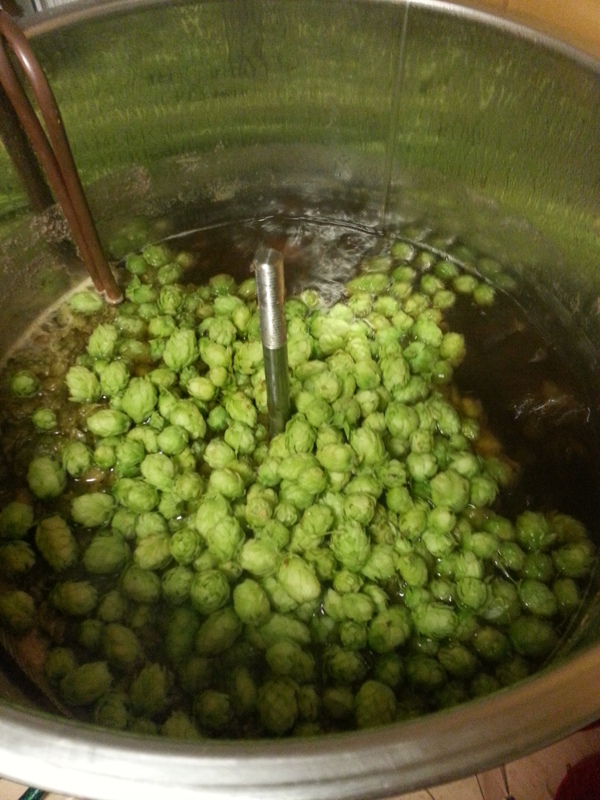 The body was thinnish and the carbonation suitably prickly and lively. Light orangey fruity and almost chalky notes accompanied in the taste. There was some creaminess from the wheat and a definite clovey theme. Blue Moon wasn’t as wheaty as some European wheats I’ve had, but I guess that’s the difference in the US and European interpretations of the wheat/Weiss style. 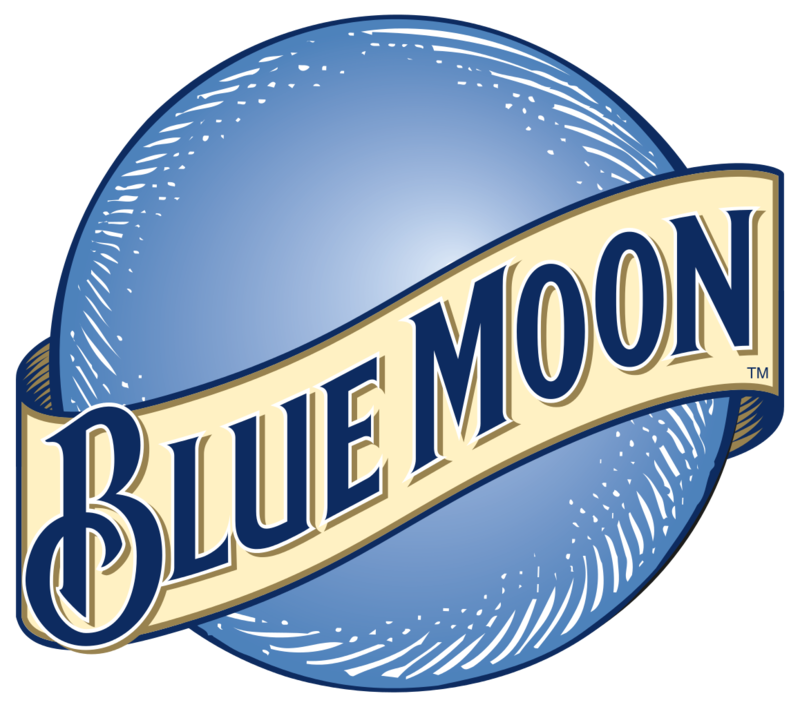 When I started actually thinking about Blue Moon as an American interpretation of the Belgian style, I wondered why should it be compared to the other interpretations of the style? The yeast is probably different, the hopping probably too and it’s from a completely different country for God’s sake. Armed with those thoughts and wishing that it was served a couple of degrees warmer, my opinion changed as the beer warmed a little: the creamy-wheatiness came forth, the lightish orange blossomed into more fulfilling fruity tones and the 5.4% alcohol brought more warmth, too. I can imagine it with a slice of Orange in it too…but don’t worry I won’t do that. I’d definitely have Blue Moon again, but maybe a tad warmer and at less of a frenetic London pace. Well, it’s now time to scribble a few notes about it. This time I’m only reviewing the keg version – I did bottle a lot of it, but there was a fair few litres in the keg, so that’s where I’ve been enjoying it. 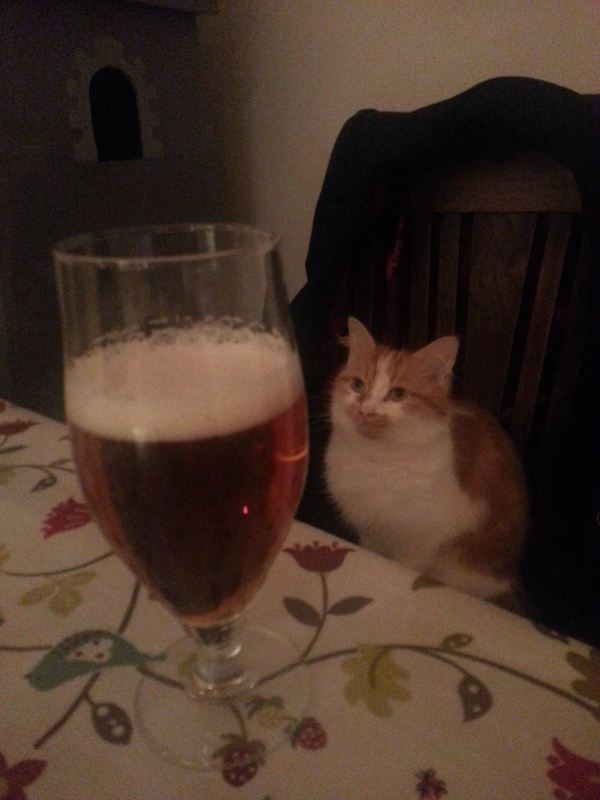 In the glass a really nice, fluffy – but not long-lasting – white head sits atop an amber, scotch-clear, beer. A light force-carbonated running bead makes up for the somewhat eventually collapsible nature of the head. A powerful spicy Belgian aroma pairs with a decent thread of solid alcohol amongst, while notes of grapefruit-y citrus come along for the ride too. It’s very-well meshed together and teasing the yeast and grapefruit aromas apart is difficult. 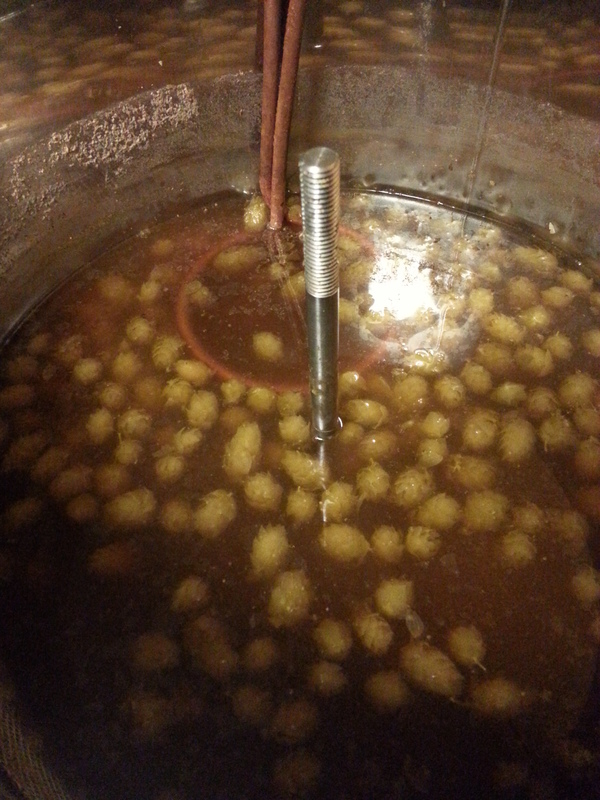 I’m declaring this a victory on the aroma front. The taste has a solid leading amount of Belgian spice, with a balancing sweetness and some lovely yeast-fruity complexity – all of this is supported by a dryish theme and a big old dose of Saison spice at the end. It’s definitely more Belgian than Saison, but I’m OK with that…the WLP568 yeast probably not being fermented warm enough by me to really encourage the Saison character. The after-taste is distinctly Belgian and dry and spicily refreshing. Remember this is a grapefruit themed beer? Well…the grapefruit pops up in different places on the taste curve, as well as in different mouthfuls – sometimes it’s smack up-front in the initial taste – and at other times it runs on strongly in the after-taste. It’s definitely very odd, but it’s also rather interesting and really rather nice. At times it’s strong and pithy and beautifully assertive, whilst at other times it’s smooth and peppery and perfectly dove-tailed in with the Belgian spiciness. Holy cow, I couldn’t leave this keg alone and the majority of it was drunk far too young. Moral of the story: let Belgian beers age so they improve – becoming more sublime and delicious with the passing of time. I’m certainly not touching the bottled version any more until Christmas. Banana Bread Beer arrives a nice russet/light-copper colour. And that’s precisely where all normal “beeriness” stops. The aroma is lightly malty with a few mineral notes and a light peppery underscore. Over the top of this is well-judged dose of banana – and I do mean banana, not Isoamyl-Acetate-like suggestions of banana (see here: https://yeastismybitch.com/2014/09/25/the-friars-favourite-franziskaner-hefe-weissbier/) like you get in Weissbier, but real tangible ripe banana – peel and all. It’s unusual and it’s quite nice – although plainly crackers. 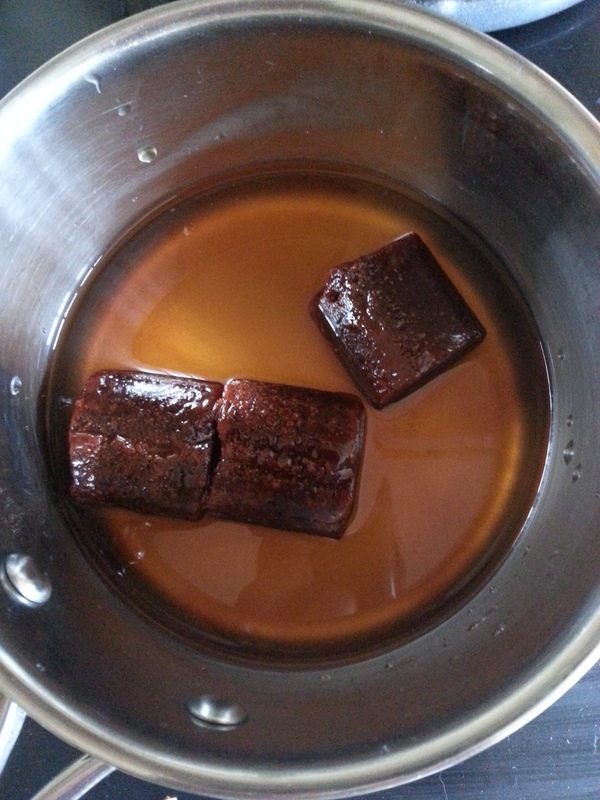 The taste is very sweet and there’s a good carbonation – but it’s the sweetness that you notice first. Maybe a bit too sweet for me, but I could make it work as a dessert beer I’m sure. Backing up the sweetness is a light-ish malt body and just the faintest hint of bitterness – probably enough hopping to act as a preservative, but not enough to intrude on the general banana theme. Don’t get me wrong it’s not candy-sweet, imitation banana, it’s real banana; see their website – they do use banana! 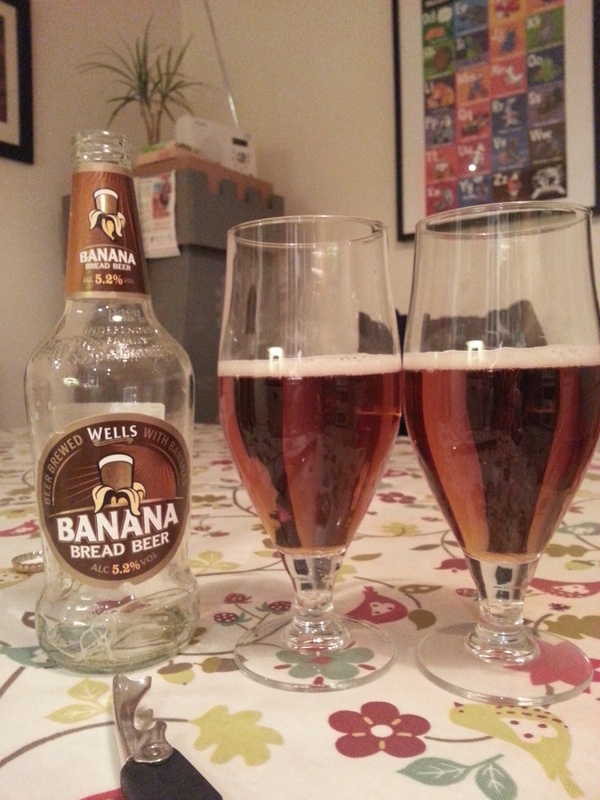 (http://www.wellsandyoungs.co.uk/home/news/wells-banana-bread-beer-launches-the-bre) and it’s in the ingredients, too. How on earth they stop all sorts of hazes and the such-like is beyond me. Maybe they’ll tell us? Banana Bread Beer is ideal for anyone who doesn’t like their beer too bitter, and I reckon it might be a gateway beer to real ale for anyone who doesn’t like traditional “beery” or bitter beer.